FinReg|Alert – Will Blockchain Replace Core Banking? I’ve got lots more to write about digital transformation and the things I’m learning from banks engaged in doing it but, to give you a break, I also have a couple of fantastic guest submissions which are worth sharing. None of the challenger banks use blockchain, the guy who’s leading the most popular smart contract platform (Ethereum) say’s it’s a bad idea. So, I mean read on…but no, don’t use a blockchain or smart contracts for the love of god. I was head of Blockchain R&D at Barclays, after having worked in Payments change, as well as payments generally for a decade. The CTO appointed me to the role after having waved my arms to get attention for what I saw as a transformative technology (in the long term). Within 2 years, we’d completed 40x PoCs, 4 pilots, were the first bank to invest in R3, became the first bank in the world to move real value over a blockchain (£100k in 2016) and the first tier 1 bank in Europe to offer bank accounts to companies active in crypto (2016). I then went on to advise the UK Government Office Science on crypto. Worked with G20 central banks and regulators, and continue to do so through a not for profit members association called Global Digital Finance. In short, when I talk on banking and blockchain, I’m not some random research house spewing surveys and charts at you. This is hard-won experience. What’s blockchain got to do (got to do) with it? 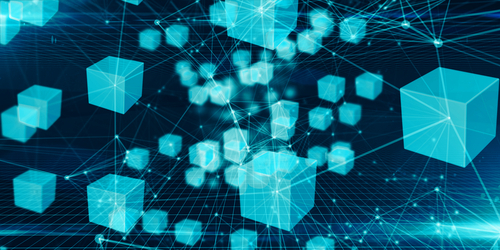 Blockchain has been a heavily hyped technology since 2015, with global banks completing POCs and pilots and competing for headlines. It is important to separate “cryptoassets”, which are a new way of representing value, from “Distributed Ledger Technology” (or DLT). Cryptoassets made headlines through 2017 after a significant market bull run caused prices to inflate. Whilst this was largely driven by speculation, for the first-time assets were traded 24/7 on global platforms not tied to any one jurisdiction. The short-term impact of this to banks (outside of wealth management) is limited, however, in the medium term, the concept of representing an asset as a “token” instead of a balance on a ledger is one that may be disruptive to global financial markets. Global financial markets are now considering how “securities tokens”, or regulated tokens could enable truly digital, end to end offerings of equities, bonds and many other asset classes. Neither crypto nor DLT removes the need for a core banking capability. However, to take advantage of crypto or DLT, a modern core is essential. Integration to legacy will reduce benefits to almost 0. You still need a core banking platform, but using a blockchain or DLT is probably a bad idea. Blockchains work because they are slower than centralized technologies. They help many mutually distrusting actors agree on a set of facts. Blockchains don’t help one bank maintain a clear view of it’s relationships with its customers nearly as efficiently as a centralized database would. DLT solves the fundamental problem of reconciliation in banking i.e. “I need to know what I see is what you see” (and that remains true and hasn’t changed since we agreed it). Today banks often have to manually reconcile accounts because despite many standards existing, there is a high error rate. Many of the systems used by banks were built decades ago by people no longer working for the bank and those systems have become increasingly complex. DLT has the potential to change this across a number of assets in 3 to 5 year time frame. If the core systems themselves are up to the task. But what about smart contracts? “Smart Contract” is a heavily loaded term. It sounds like the stuff of dreams a legal contract that runs in code. The reality is very different. The term originates from Nick Szabo and gained popularity in 2013 when Ethereum went public as a project. As implemented, they are neither smart nor contracts. As others have observed a better term would be “dumb scripts”. The nuance is that these bits of computer code tend to run in many places at once vs today where computer code tends to run on a server (e.g. at Facebook, or at Google) or client side (your device). In “smart contracts” on a blockchain that code runs the same way in many places. Why’s that important? Well, it was designed to mean code would be unstoppable, code could run without any centralized actor. Many of the decisions made in the development of tools to build smart contracts for Ethereum don’t make sense for a core banking system. That’s not the problem they were trying to solve. Stepping back for a second to core banking. If we ignore the issue of banks communicating with each other there are plenty of issues inside the walls of the core banking system. Most core banking solutions are built on 20 to 40 year old architectures and have been “lifted” into the cloud. More pressing is that many of the assumptions about what a core banking system is and does haven’t been challenged. These systems were built to digitise a paper process. A paper process that worked when we had branches and regional headquarters. In the age of digital a paper process usually isn’t optimal. So it stands to reason that you need to go back to first principles. Challengers have entered the market that can deploy live to production 100 times per day and can build products around their user. This mass customization is critical to compete in the future. It stands to reason then, that new technology like “blockchain” will catch the eye of anyone trying to future-proof their offering to customers. What should you look for in a core banking system? Core banking that upgrades itself. Why when every bank in a region has the same compliance requirements do they all need to spend 75%+ of tech investment on mandatory/regulatory? Rethinking the nature of processes. It’s not enough to make banking as it used to exist go faster, it’s time to rethink the processes and work with teams who have a proven track record. We think so, head on over to 11:FS Foundry to see what that simple list can do.